You must visit Tanda. I was lucky enough to win a soy candle of my choice in their instagram competition but I had heard so much amazingness about them that I also purchased a second candle. A few days later a large 'fresh linen' and a medium 'lychee and black tee' candle landed in my lap. The Lychee and Black Tea smells delicious without smelling sickly sweet (Glasshouse Tahaa I'm looking at you). It burns absolutely beautifully and the medium is probably best for a small-medium sized room. I wasn't expecting to love Fresh Linen as much I do. It just smells fresh and clean. I feel like my apartment is cleaner when I burn this candle. For serious. The large size of this candle is my perfect for my open-plan living room. Both scents are incredibly light and just smell so clean, although my absolute favourite thing about Tanda candles is hands-down the wood wick. You can hear the crackling of the moisture in the wood and it reminds me of those old-school fireplaces. You can also smell the burning wood which is such a reassuring feeling. 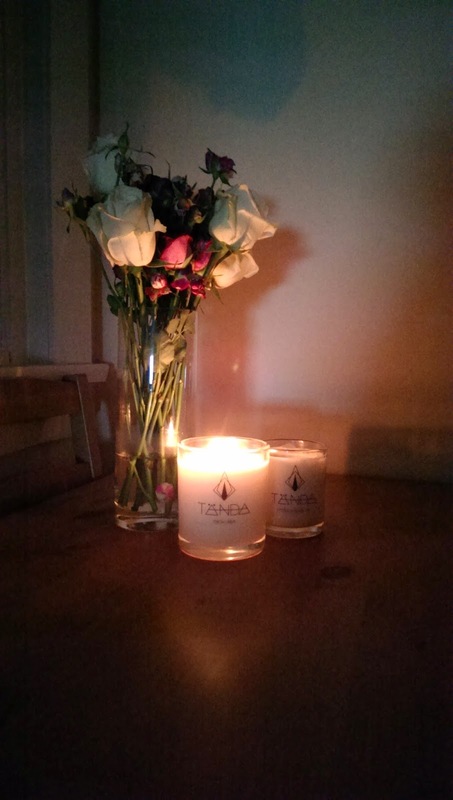 You can get Tanda candles for 12% off until this Friday 22nd August using the code 'VOGUETTESFORTANDA'. 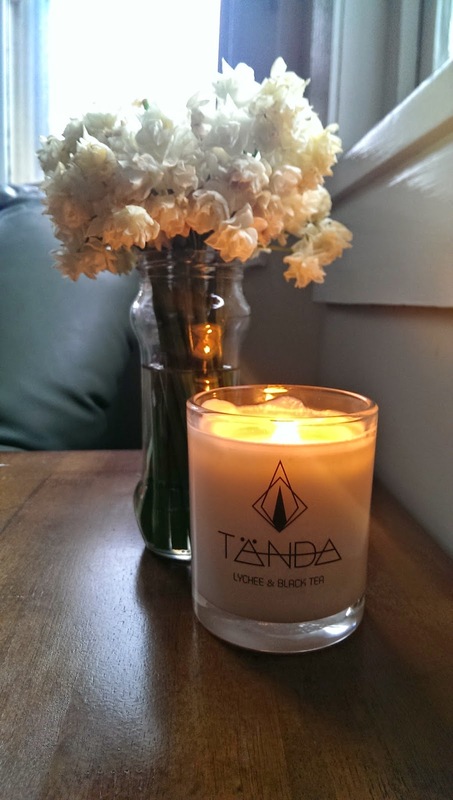 Do yourself a favour and grab yourself a Tanda candle (or two). * this is not a sponsored post. These candles really are the business. So jealous! I have 4 unused candles to go until I can justify buying a new one but the next one will definitely be the Lychee & Black Tea! I have about 4 soy candles coming from the US but they are taking their sweet time so I'm filling the void with Tanda candles. No such thing as 'too many candles'. I loveeee Tanda candles and especially the fresh linen one. I burn that one in our bedroom. To be honest I got the Fresh Linen because you rave about it. LOVE IT! Love the wick!! Love it all!! !